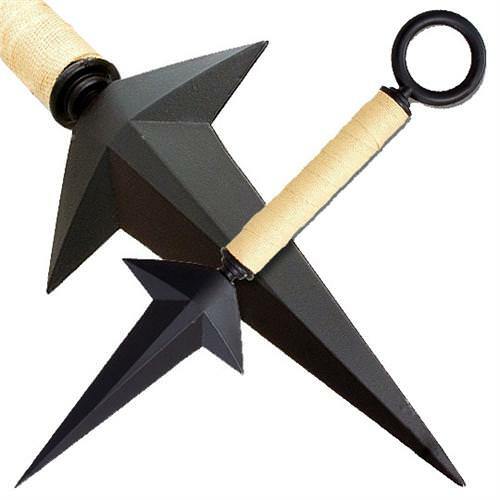 This particular Yondaime Kunai Knife features a very thick construction with a tri-point blade. A thick black coating helps to protect this magnificent thrower from rusting. A brown cloth wraps around the handle making your hands non-slippery while the pommel sports a large O ring. Please note that many pieces were put together and welded to create an all one piece thrower. This particular Yondaime Anime kunai also feature a flair cross guard making this kunai well balanced for throwing. This knife might not be the best choice for a high impact thrower, so please use your discretion.